Detailed descriptions of the three types of passports are as below; We have tried our best to explain about each type of Indian passports. Please check the official website of Passport seva kendra for further updated information. A regular passport is issued to the general public who are citizens of India. It is also known as ordinary passport which has a blue cover and consists of 36 or 60 pages as per the requirement of the applicant. This passport holder can use this passport and travel across the world for ordinary vacation, business, education, medical, pilgrimage, or any such travels. This passport is valid for a period of 10 years from the date of issue and it can be renewed for another 10 years upon expiry. Diplomatic passports are issued to Indian diplomats, diplomatic couriers and top ranking government officials. Diplomatic passport has a maroon coloured cover. This passport can be used by these personnel while travelling internationally for state business. It is also classified as a “Type D” passport with D standing for Diplomatic. Officers of the Indian Foreign Services who travel abroad on official business. Immediate relatives (Mother, Father, Son, Daughter, and Wife) of the officers referred to in (1) and (2) when they travel with these officers or joining them at their post abroad. Any person who is granted a diplomatic status by the Central Government either because of his nature of foreign mission or because he holds a position determined by the Government. The official passport is has a grey coloured cover and is issued to individuals who represent the Indian Government while travelling on official business. It is also classified as a “Type S” passport with S standing for Service. It is issued to Non-gazetted government servants or any other individual who is specifically authorised by the government of India and is deputed to a foreign country on government business. Government officials and their families and non-officials who travel out of India at the expense of the government. Permanent Government Officials who are deputed to foreign Governments, The UNO and other Governmental organizations which are recognized by the Indian Government. Government officials who are sponsored by the Indian Ministries to attend international seminars, conferences and meetings or to undergo training or any scholarship scheme for a period not less than twelve months. Hope the article is helpful for you to know understand different types of passports in India. Disclaimer: We do not claim that the article is error free. We have just written this article in order to share the knowledge. Please note that the content in the article is of varying by nature from time to time. 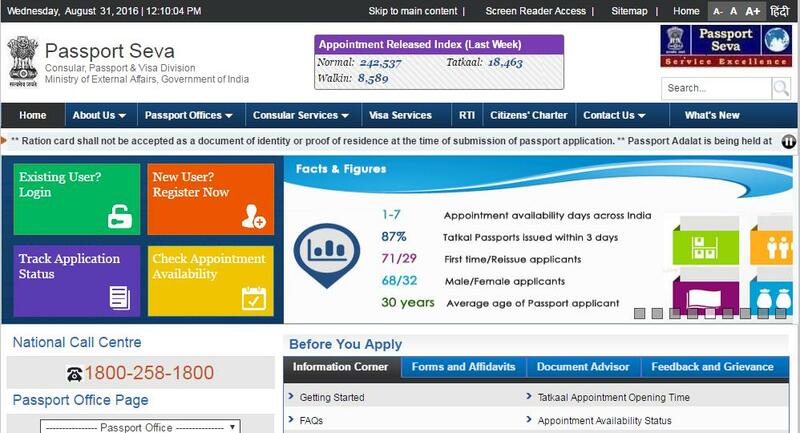 So, I recommend you all to take a look at the Passport Seva Kendra official online portal for updated information. Also check - Passport Status and Passport Seva Kendra.